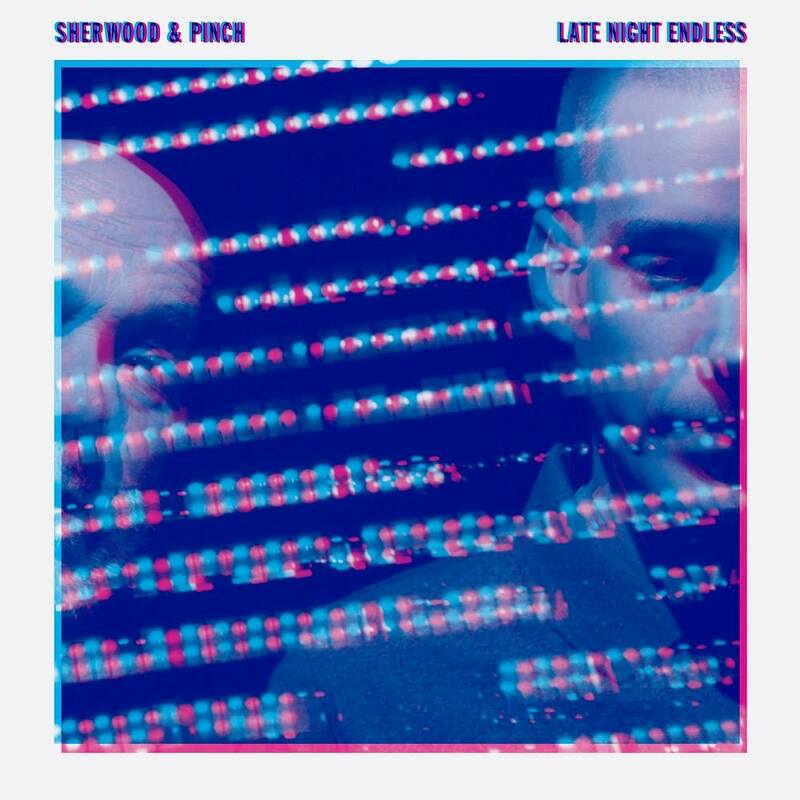 Late Night Endless is the first album by Sherwood & Pinch and the culmination of two years in the studio developing, re-dubbing and deconstructing tracks. It finds the highest common factor between the two’s techniques, making it impossible to see where one musical personality ends and the other starts. It touches on the urban swing of UK garage on ‘Music Killer (Dub)’ and ‘Gimme Some More (Tight Like That)’, on interstellar nineties ambient dub on ‘Wild Birds Sing’, on the mystical minimalism of Pinch’s first releases on ‘Africa 138’. Utilising Sherwood’s deep-fathomed sound bank, Late Night Endless also incorporates elements of his previous productions, including vocals by Daddy Freddy, Congo Natty, Lee ‘Scratch’ Perry, Prince Far I and Andy Fairley. Adrian Sherwood built up a vast catalogue of music through the 1980s as producer to the sprawling dub-industrial-electro collective that was On-U Sound, which emerged from a fertile post-punk scene that was embracing Jamaican rhythms. In his capacity as a DJ and live sound engineer/dub controller, he connected with the likes of The Clash, The Slits, Public Image Limited and The Pop Group. He also remixed, produced and collaborated with Primal Scream, Nine Inch Nails, Ministry, Depeche Mode, The Fall, Blur, Air, Peaking Lights, Django Django and Machinedrum. Pinch has became revered as a dubstep stalwart, founding the respected label Tectonic in 2007. He’s one of the earliest dubstep producers to expand outwards into techno and other sounds to keep his work and his Tectonic label fresh as dubstep itself went mainstream. One of Pinch’s most well-known tracks is “Qawwali” (Planet Mu), which references the devotional singing of the same name and features samples of Nusrat Fateh Ali Khan. One of the first producers in the dubstep scene to release a fully realised album in Underwater Dancehall, he also made connections with an older tradition of heavy bass music by releasing an album by dub legend Scientist on Tectonic. More recently, he collaborated with man of the moment Mumdance (recently signed to XL) to deliver a b2b mix full of dubplates and unheard material. Two limited edition 12” EPs – Bring Me Weed and Music Killer – followed, but it was being asked to deliver a live show for Sónar Tokyo in April 2013 that really put a rocket under the project. “We decided to have a whole studio on stage” says Adrian, “so that the mix truly is delivered live in a totally unique way that can never quite be done the same again”. The result was triumphant, with even master of noise abuse Alec Empire [Atari Teenage Riot] watching agog from the side of the stage and broadcasting to the world what a revelation it had been.